The Midvale Cottage Post: 1930s Advertisement - The Latest Washing Machine! 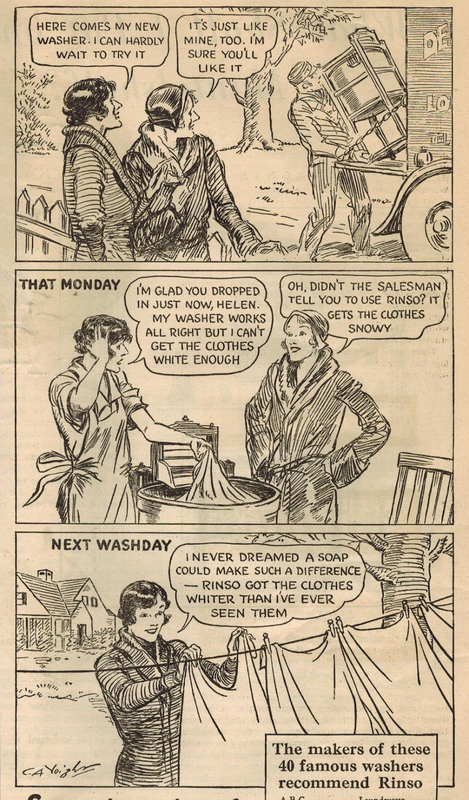 Washing machines and laundry soap brands may have changed over the decades. But one thing hasn't changed - the challenge of keeping white clothes white! So glad you enjoyed this. After I posted it, I was thinking that I probably should have posted this on a Monday! LOL! When our washer breakdown we panic and start searching solution for the immediate problem in that situation you just calm down and sit a while and take your handset dial these numbers 9177700012, 9177744460 it will connect call to the Washing Machine Service Center Hyderabadfor having immediate quick and quality of services. Our expertise service persons they can repair and replace the internal damage parts and will find specific washer to suit your needs and budget. For more information go through our website link and drop your address details for having our service. Refrigerator service center can help you out in servicing, repair, and maintenance problems and also reduce your utility bills because of the fact that refrigerator could charge big portion of your utility expenses because the refrigerator is the most energy intensive equipment it operates full in a day. For reducing temperature and adjusting the temperature controls by a technician for an appliance service contact Refrigerator repair centre in Hyderabadfor any kind of repair services for your refrigerator will help you out in your servicing problems. Call us today. There are many benefits having your air conditioner service is the truth because these is especially summer the hotter it gets more so before having servicing will help you to catch these problems and fix them. Having the service early can head off these kinds of problems. Give a call 9177700012, 9177700044, 9177700065 dial any one of these numbers it will connect to the Hitachi air conditioner repair center in Hyderabadwe are here to concern you at any time. The service charge for repairing any brand and any model of air conditioner is 650/- at a warranty of 3 months.